Bruce Wayne (Ben Affleck) and Diana Prince (Gal Gadot) team up to bring together a group of heroes to stand against a threat like none of them have seen before. There are many things that are not great in Justice League, but the characters and their interactions are what makes this film a lot more fun and enjoyable that Batman v Superman. The main problem with Justice League is it spends the first third of the film having to set up three new heroes we’ve not met before, Cyborg/Victor Stone (Ray Fisher), The Flash/Barry Allen (Ezra Miller) and Aquaman/Arthur Curry (Jason Momoa), along with a villain in Steppenwolf (Ciarán Hinds) who has a whole backstory as well. There’s a lot of exposition to get through, some of which is heavy-handed, and it slows down the pace of the film as it makes you to wait for any of the action scenes and the main plot to start proper. When the heroes are together it’s nice to see them getting to know one another as they work together, but unless you know these characters from comics or TV shows, you don’t know enough about them to really care about them or become attached. Still, there’s some funny moments between the team of heroes as you start to see their personalities come through. 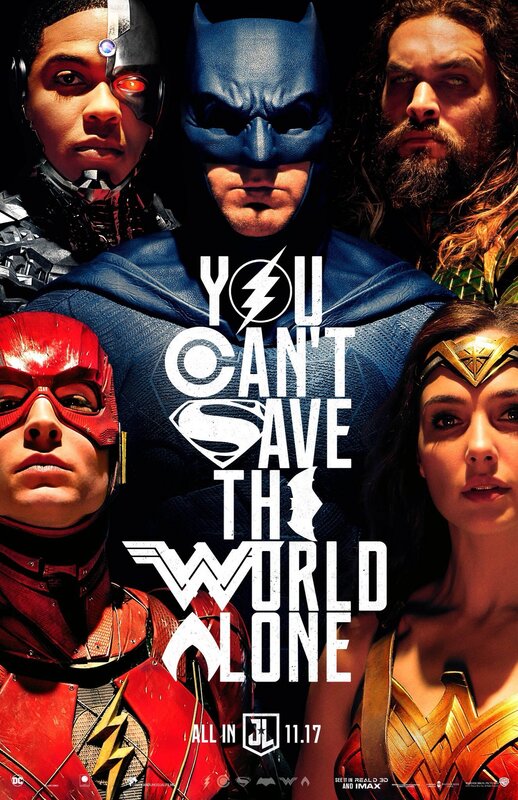 Justice League features an end-of-the-world-plot, but you don’t really feel those stakes due to this world seemingly not be populated by anyone but the heroes and people they know. Even when clashes between heroes and villains happen in a major city, there’s no one but the heroes around – it’s quite jarring and makes the threat not feel threatening. Justice League is watchable, the characters are fun and the action (when it happens) is mostly exciting and engaging. However, the editing in fight scenes don’t always make everything clear and the plot itself has neither high stakes nor is always coherent. It’s the step in the right direction for the DCEU but it is a step down from Wonder Woman. 3/5. 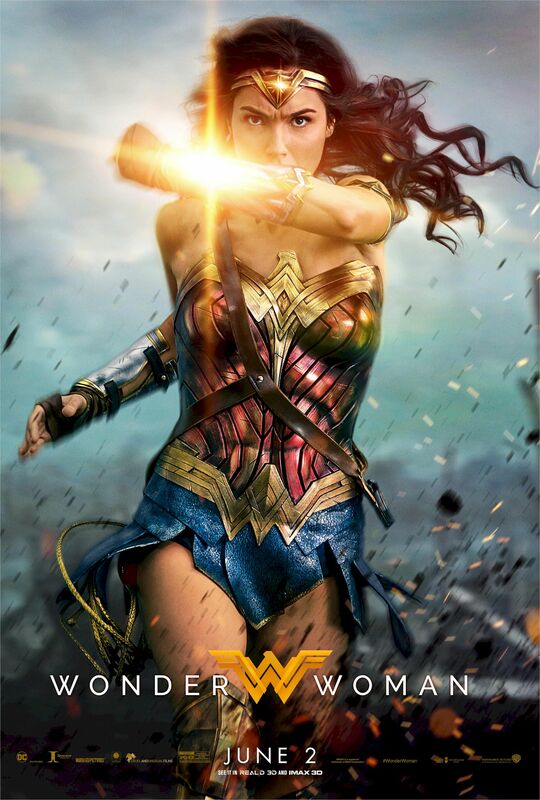 When pilot Steve Trevor (Chris Pine) crash lands onto the home of the Amazons, bringing news of a war to end all wars, Diana (Gal Gadot) leaves her home and all she knows to go fight to save those who can’t protect themselves. Diana is a brilliant hero. She’s confident in her powers and her beliefs so there is none of the “oh the pains of being a superhero” that you often see in superhero movies. She is strong and compassionate, and while she doesn’t always understand the world of Man, the film never makes it into a big deal or is condescending about her lack of experience. There’s humour to be found in her bewilderment and it’s all very charming but never patronising. I think that’s one of the great things about Wonder Woman, it’s never defensive about its titular character nor its story, it’s sincere in the way Diana and the film itself, celebrates inner strength and the power of love and compassion. In many ways, the film makes you wait for the action sequences, instead spending time allowing the characters to talk and learn from one another. These quieter moments are never boring and are often funny. That said when the action and fights do happen, they’re brilliant. The way you see Diana, and the rest of the women of Themyscira, fight is magnificent. They are all powerful and skilled and the way the camera shows off their skills is captivating. There is so slo-mo used, which does make sense as Diana can move super-fast, so you can really see how she avoids gunshots and bayonets. Diana is an amazing character and the shots of her fighting side by side with Steve, and leading him and Sameer (Saïd Taghmaoui), Charlie (Ewen Bremner) and Chief (Eugene Brave Rock) into battle gave me chills. Gal Gadot gives a great performance, showing both Diana’s power and sensitivity in the face of war, and the quieter moments between her and the other characters are a delight. While there is sometimes a joke made about a woman in battle, none of the men who fight by Diana’s side ever doubt her or her abilities. The villains in Wonder Woman aren’t the most well-developed but as that is something that could be said of a lot of superhero films, it’s not a huge complaint. I would much rather have a film with a fantastic hero and a mediocre villain, than a great villain and a dull hero. Ludendorff (Danny Huston) is an army General with grand plans and Dr. Maru (Elena Anaya) is a master at making poisons, she was an interesting character and it’d be cool to have learnt more about her. Wonder Woman is a wonderful film. It’s very much a traditional superhero origin story but is a lot more charming and sincere with it. Diana is a brilliant hero who brings a sense of hope to the world. 4/5. 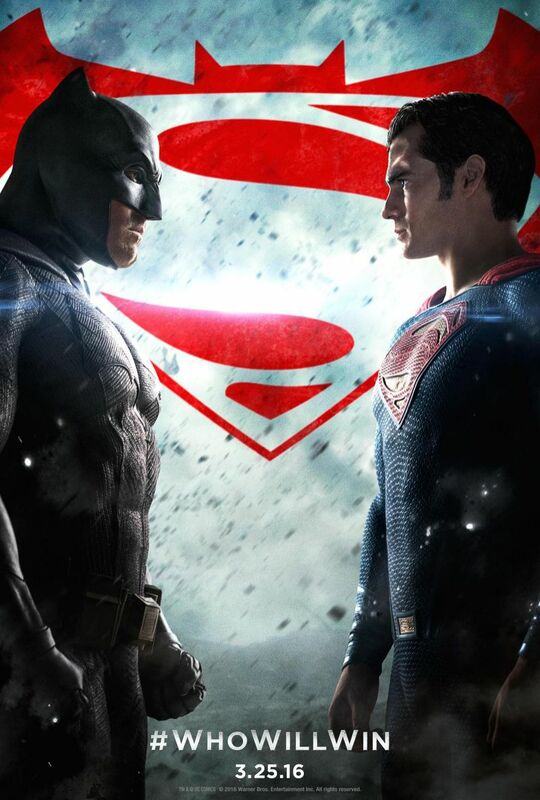 Batman (Ben Affleck) vows to take on Superman (Henry Cavil) when he fears that if the alien’s actions remain unchecked, it could mean even more pain and destruction for humanity. Meanwhile Lex Luthor (Jesse Eisenberg) is using Kryptonian technology to fuel his own ambitions and the world tries to decide what sort of hero they want and need. This is Ben Affleck’s first outing as Bruce Wayne/Batman and he is brilliant in both roles. He is an older Bruce Wayne who has been the Batman for twenty years so he’s seen some stuff and is a bit world-weary and cynical. His relationship with Alfred (Jeremy Irons) is great and Alfred in general offers some great lines and the film shows how well Alfred and Bruce work together. All the Batman-related stuff is definitely a highlight of the film. When Batman and Superman fight, it is brutal and it’s kind of great to watch. These are two of the biggest superheroes out there so to watch them duke it out is a sight to behold. Also when Wonder Woman (Gal Gadot) finally makes her appearance it is an amazing “hero” moment and the soundtrack that starts when she appears is my new favourite piece of music. The main problem with Batman v Superman: Dawn of Justice is that there are a lot of characters with their own agendas so there are a lot of plot threads that don’t always seem vital or complete. Bruce Wayne has his own agenda, Lex Luthor has his own agenda and so does Wonder Woman, Clark Kent and even Lois Lane (Amy Adams). All these things are there and some of them are interesting but they just don’t really tie together that well. All these threads mean that the film feels really disjointed and the pacing isn’t that great a lot of the time, the first hour chunk especially is trying to set up so much stuff that it feels a bit bogged down and slow. Batman v Superman: Dawn of Justice is the launching pad for the DC Cinematic Universe and while it does a good job setting up some characters like Batman and Wonder Woman, sometimes it feels like it’s too much of a set up and there’s a moment where the film seems to pause to show off some characters that we’re very likely to see in future films. Batman v Superman feels like it’s trying to be too many things. As well as being a starting point for a new franchise, it feels like a gritty action film and a political thriller with the courtroom drama stuff. It feels like there’s too many ideas gone into Batman v Superman and not all of them worked or fitted together cohesively. Batman v Superman: Dawn of Justice is an alright film, there’s some great moments that really pull you in but on the whole there’s too much going on and the pacing of it isn’t so great. 3/5.